We had checked out six different giraffe books from the library. Namine had to read them all, then pick one on which to do a report. You know when you saw something, but you couldn’t quite recall? Yeah. It didn’t take her long to find the part she was looking for. I ended up having Namine stop on the fifth book. It was pretty dense — the last one was even worse — and it was getting late. 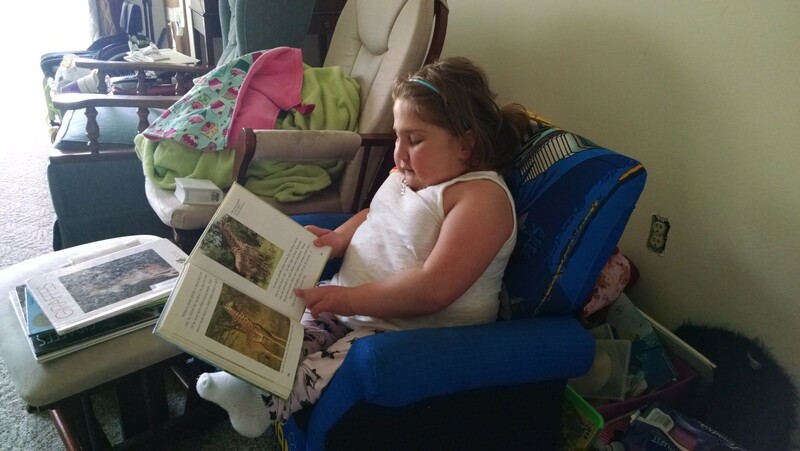 She’ll do the book report today or tomorrow, depending on how tired she is after therapy today.